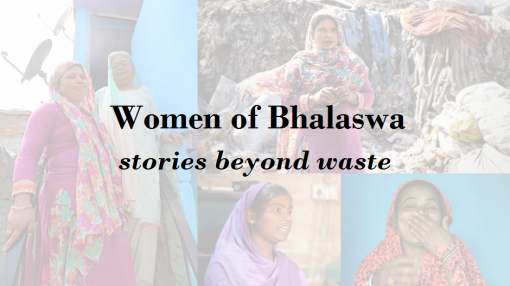 This year on 8 March, the International Women’s Day, Chintan, an environmental research and action group, started a photo series, “Women of Bhalaswa,” documenting the stories of women living in Bhalaswa, an area with one of Delhi’s three landfills. The project aimed to highlight the experiences and struggles of women living in the area. Here is a small collection of stories from the series. You can see the rest of the stories here. You can read more about Chintan here. "I want that all women who collect waste are given stable jobs. Recently, a girl, Nadie, had gone to the bathroom and a man who worked there grabbed her hand. The ladies of the community got together, went down there and slapped him. We decided to call the ‘Mahila Aayog’ to report the incident, but then he started begging us and asked that we forgive it as a mistake. A woman feels scared to go to the bathroom alone here. Usually 3-4 of us go together. What is happening near the public bathrooms is wrong. 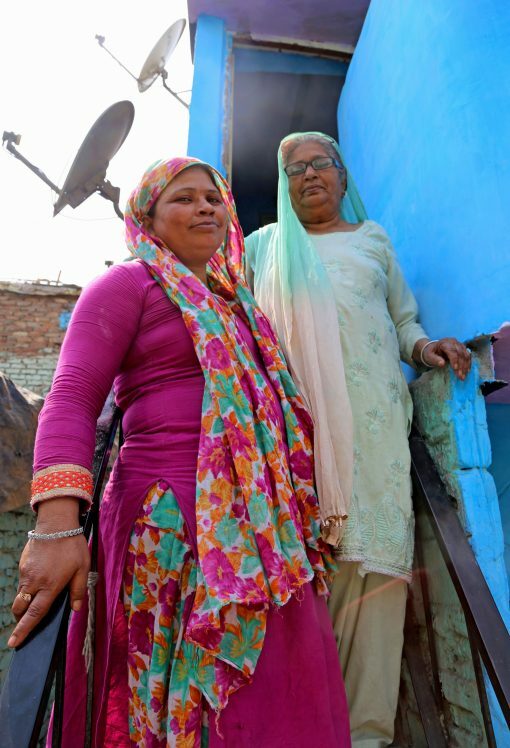 Everyone’s mother and sister uses the bathroom, and all our honour is equal, whether rich or poor, young or old. There is nothing left in the villages for us either. There is no land to our name to go back to. Delhi is our only hope. If a woman gets a job, she will earn well, eat well, give her children a good education and remove herself and her family from this life. We want to raise our children in a clean environment, where they can grow to be good kids. Even they have big dreams, where one child wants to be a doctor, one wants to be a police officer and another an engineer. But these dreams will not come true. Why? Because look at this environment. There is alcohol being sold, drugs being sold and robberies happening. When this is all they see, how will they learn anything else? They will dissolve into this landscape only. What is the point then?" "A lady came and took my mother. 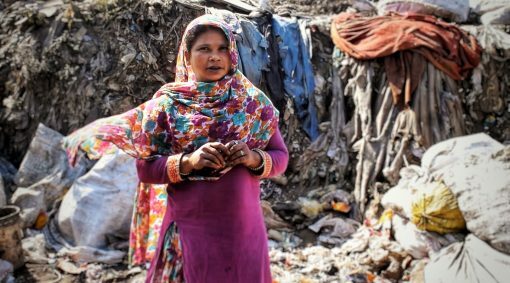 We were very small and living on the street in Jahangirpuri at that time. She promised my mother work, but she actually wanted to sell her. My brother and I were left on our own and for 3 days, we just held each other and wept. We cried on empty stomachs with no one to give us food, not knowing where our mother was. We only ate when one day this man came and asked us why we were crying. No one else cared. We told him we had not eaten for 3 days, and he bought us some roti. It was after three days that my mother came back. We held on to each other and cried till no more tears could come out. From there we moved to a jhuggi. I was 7 years old when this happened. I never lost my strength and hope. I wanted to be many things, but it was not in my destiny. If I had gone to find that destiny, I wouldn’t be able to feed my family." Chintan is an environmental research and action group. The pictures were originally published on Chintan's Instagram handle. Published here with permission from the organisation.